Men's Microfleece Lounge Pants Only $3.74! Down From $24! You are here: Home / Great Deals / Christmas Deals / Men’s Microfleece Lounge Pants Only $3.74! Down From $24! Men’s Microfleece Lounge Pants Only $3.74! Down From $24! Men’s Microfleece Lounge Pants Only $3.74! Down From $24!! 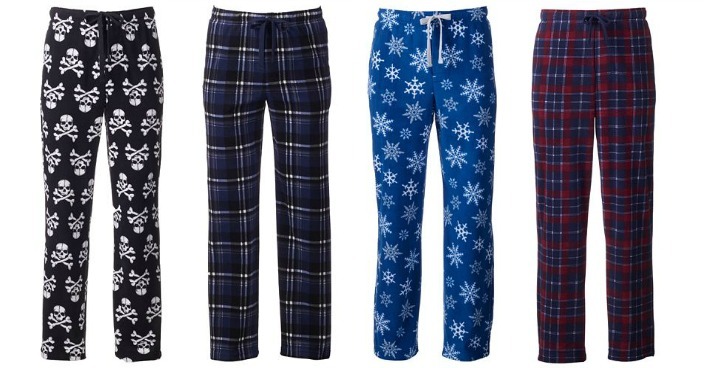 Kohl’s has these Men’s Microfleece Lounge Pants on sale for $4.99 (Reg. $24) but you can get them for only $3.74!